Angel's staff and her legal excellence are the best! Working with Angel was a pleasure . She made the whole court process easy to understand and walked me through the steps. She made what would of been an unpleasant event better than i was expected. Her staff and her legal excellence are by the the best. Angel Kane is a complete professional. She has helped our family so much and also eased any concerns I've had. A wonderful asset to our community! Angel and her entire staff are a pleasure to work with. My spouse and I had our wills, durable powers of attorney, and medical powers of attorney prepared by her office. The work was (of course) perfect. This is the third time we have retained her services, and would totally recommend her to anyone looking for a great family attorney! Angel Kane is a wonderful family law attorney! 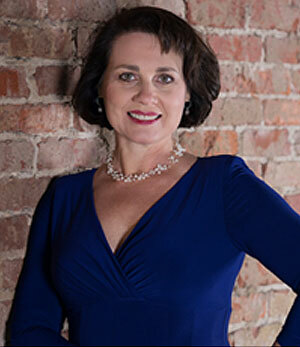 Angel Kane is a wonderful family law attorney! She has dealt with all of my husband's custody issues over the course of years. She is always willing to help and listen throughout some very emotional times. Our family is so grateful for her. Her staff is also amazing and very professional. Angel is a lovely person and a great lawyer! Angel is fantastic! She is a lovely person and a great lawyer! I'd highly recommend her for representation! The entire firm is amazing! Angel, Penny and the entire firm are amazing. They represented me in my divorce and far exceed my expectations. We were always prepared and very detailed. Both Angel and Penny answered any question that I had and made me feel like I was their only client. Angel was able to explain the process to me in a way that was very professional and comforting. She has the traits you want in an Attorney; competitive, detail oriented, professional, intelligent, empathetic, determined and genuine. A fantastic firm! Working with Angel was a pleasure and she made dealing with a difficult time much more easy. Her professional and empathetic nature helped ease my mind with a difficult situation. She answered all my questions and had answers to things even before they came up. Her attention to detail is impeccable. I would highly recommend Angel to anyone. When the need for an attorney arises, it is very rarely for a good thing. However when you have Mrs. Kane on your side you can rest assured that the matter will be taken care of with not only a professional manner but also quickly. Mrs. Kane has assisted my company and family on several business and personal matters and I know it will always be taken care of correctly. There's no one else I will use. Mrs. Kane and her friendly staff are there for you. "She put my worry at ease"
Angel Kane has been my Attorney for years and has shown to be beyond professional and very knowledgeable in her practice. I have never had a doubt that ‘she would represent me and my family with dignity and respect, while going above and beyond in her job’. Her office staff is amazing and nice. She has put my worry at easy, even in the most difficult situation. There is ‘no legal task’ that she cannot handle. I would highly recommend her to anyone who needs legal representation or advice. Angel Kane is an exceptional attorney and genuinely a wonderful person as well. Her knowledge and expertise in the legal field are unparalleled! I have the utmost respect for her and her firm. From the first time I met her until she successfully won my case, Angel was the consummate professional. She not only explained things where they could be easily understood, but she was always honest, compassionate and kind as well. I felt that she was looking out for my best interests - 100% of the time. Her paralegals were also wonderful; extremely competent and responsive. I am extremely grateful for her entire staff. I would highly recommend Angel Kane to anyone I know! Hands down, she is the best attorney in town!! In my first meeting with Angel she said, “I will take care of this for you” and.....she did. Angel was extremely competent and professional and I always left her office knowing she took a personal interest in my situation. Every detail was handled with expertise and in a timely manner. Angel knew the questions to ask to make certain my rights were protected and every legal detail was thoroughly explained to me. I was so relieved/blessed to have her in my corner. If you need a lifeline to navigate through a tough and emotional divorce.....Angel Kane is that lifeline. You want her in your corner....I just can’t say enough. Angel Kane handled all my family’s estate planning work. She did an excellent job preparing our Wills, our Powers of Attorneys and Living Wills. She explained everything in terms we could understand, took her time answering all of our questions, and her staff is was excellent as well. When she helped us with my dad's power of attorney, her calm and empathetic demeanor offered emotional support to myself and those I care about most. My family and I are eternally grateful for her service and I would recommend her without reservation. In 2013-2014, I went though the hardest years of my life to date this far. My marriage of 25 years was over and my mother passed away during this time of my divorce. I prayed to God to surround me with his people to help me through this difficult time. Of course, my family, my friends and my church family was with me. However, God also sent a new set of friends, my wonderful attorney Angel Kane and her staff. I had never been through a divorce and was scared to death of what my future held. Ms. Kane, and her staff handle me with so much care and patience. Ms Kane advised and guided me to the right decisions I needed to make for my future. I will recommend Ms Kane and her team to anyone in need of attorney representation. God truly did send me an Angel and new friends with this attorney practice when I needed them! Angel Kane and her staff are amazing. Their follow up, attention to detail, and professionalism are unparalleled. Every detail was covered. Angel and her team were available for questions and consultation throughout the process and I was kept in the loop every step of the way. Thank you for making a tough situation a little easier. I highly recommend Angel Kane for anyone needing legal representation. I am very thankful I chose Angel Kane to handle my divorce a few years ago. Mrs. Kane is very experienced in Divorce law/Child Custody. Later, when I found myself needing an attorney again dealing with more Child Support/Custody issues, of course I knew exactly who to contact. Mrs. Kane was more than happy to accept my case again and she worked very hard for me. I found myself recently needing assistance regarding estate planning matters and of course she had the answers. If you need someone that is knowledge about the laws she is the person to call!!! Thank you Angel Kane for your hard work and dedication to your clients. This world needs more attorney’s like you. It seems so many grandparents are finding themselves in the position of “parenting” grandchildren. Our grandchild had been in our care and keeping since the age of two months. Efforts to be supportive of a single father/only child situation without having to pursue legal action were not effective so we initially engaged the services of Kane & Crowell to gain permanent and complete custody of our grandchild. Amanda was very understanding and helped a great deal with my divorce. I highly recommend her. Amanda Crowell has helped my family in so many ways. She listens and answers question and explains anything you don't understand. She's compassionate, work Harding , and goes beyond what I what I would have expected. She is amazing and I would and have recommended her to people. Don't go anywhere until you talk to her first. Thank you Amanda for everything. Very professional and responsive. My legal matters were handled thoroughly and in a very timely manner. Would definitely recommend! I will continue to recommend Amanda! The staff at Kane and Crowell are very polite! Amanda and her team are great! I am thankful for Amanda and her staff! "I would use her anytime again to represent me"
"She's Not Just A Lawyer, She's a Friend"
The staff at Kane and Crowell are amazing! Divorce is a uniquely personal experience. I help my clients navigate through this difficult time in their lives with dignity, respect, and compassion. I help them identify their goals and determine how best to achieve them.